WARNING: This is a high-level overview of a highly complex subject that ultimately advises several resources for the photographer to help minimize color management nightmares. There are ton of products, concepts, and techniques that are intentionally missing from this article. I’ve tried to break it down to the recommendations I’d give a friend who is struggling with color management nightmares without boring them with weeks of lectures and discussions on this sophisticated topic. Click here to take a test that will test your color IQ. 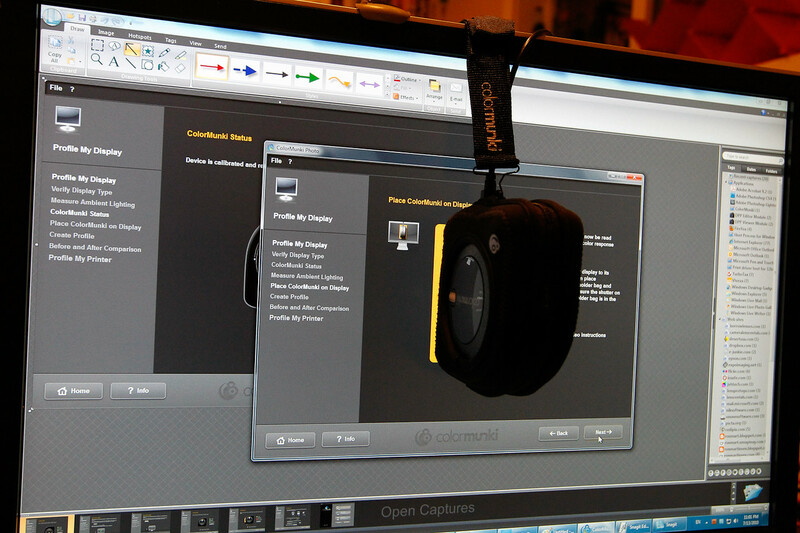 I highly recommend this for those who think they can visually calibrate their display. In case you are wondering, I got a 35 on a calibrated display (without my glasses or contacts on), so you can imagine how that score would probably be much worse if I was on a non-calibrated display. Tim Grey's Color Confidence: The Digital Photographer's Guide to Color Management and many similar books on the complex subject of Color Management have been written to guide photographers though the hassle of understanding all of the variables involved with how your capture device (your camera), display device (your monitor), your editing software (i.e., Photoshop, Lightroom, Aperture, etc…) and your output device (a web browser or printer) all have different ways and limitations on how they display color, and what is required to get all of these devices in sync with each other. 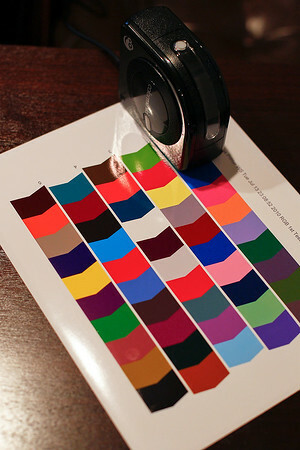 If just one link in the chain is converted improperly, it’s easy to get inaccurate results in your final output, so understanding this topic is essential for photographers to express their artistic representation of color in a way that will allow other calibrated displays to show accurate results. The sad truth though is that many people don’t calibrate their displays so all bets are off and it’s Forrest Gump calibration – you’ll never know what your gonna get! This is why understanding color spaces and working with calibrated profiles is essential to getting accurate output! 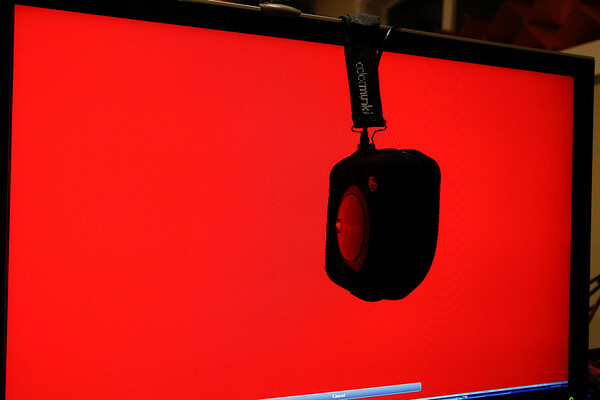 For the past couple of years I’ve been very happy with my Pantone Huey as my monitor calibration device. Since most of my output was for the display, this solution was sufficient for my needs. If you fall into this camp, then I highly recommend this product as a cost effective starting point into monitor calibration. 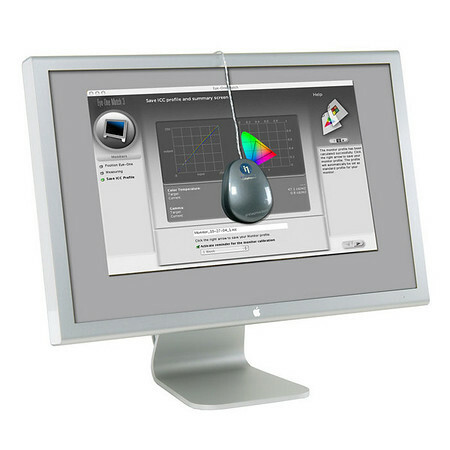 If you have more than one display attached to your computer, you must purchase the huey pro as the non-pro version only supports one display. 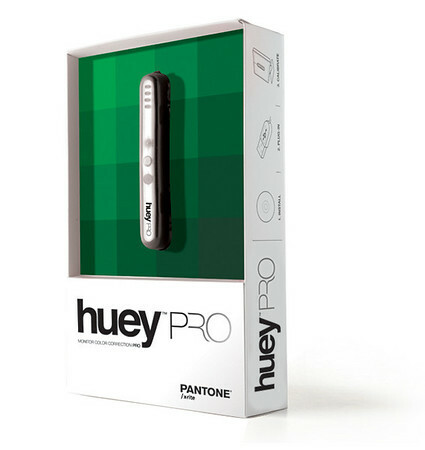 You can buy a huey pro from Amazon, Adorama, B&H and other online and local dealers. The next step up from the Huey, which I highly recommend as your starting point, is the i1 Display2 (available on Amazon, B&H and Adorama). If you are graduating to doing your own printing, regardless of how inexpensive your printer is, I highly recommend you move up to a device that can also profile your printer and papers. UPDATE: X-Rite now has these new products that replace the products mentioned in this section. They are NOT spectrophotometers, so they can’t do printer profiles, but they are colorimeters so you they can calibrate your display. What’s great about these over the ones mentioned above is that they support wide color gamut display calibration which neither the Huey Pro or i1 Display2 supported. 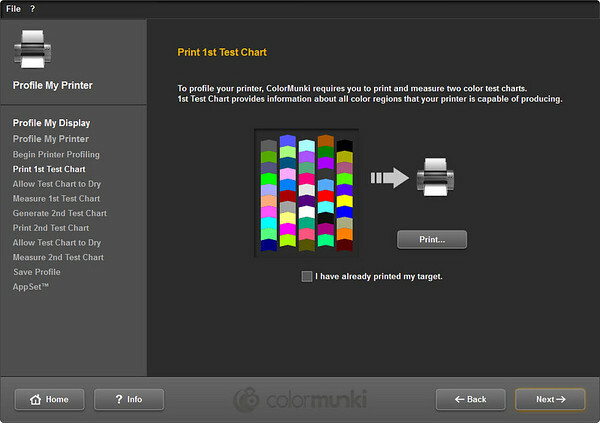 For printing I still recommend the ColorMunki Photo or greater as this article suggests. 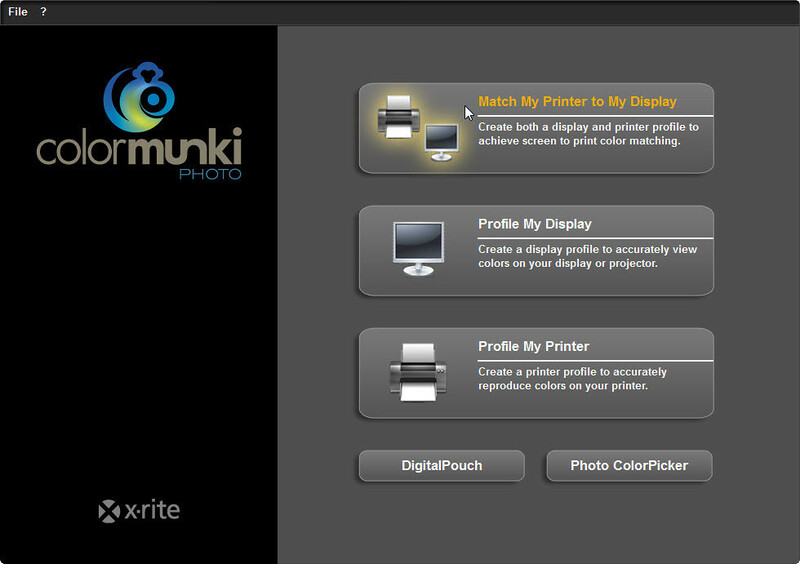 ColorMunki Photo Color Management Solution by X-Rite is more than just a display calibration device, it also allows you to calibrate your printer to the paper you are using to provide an end to end color management solution. What does this really mean? It means you can have your display match your printed image as close as possible (up to the limits of your display and the natural differences between a backlit display and a printed image). I can’t demonstrate what a calibrated display looks like, but if your display isn’t horrifically off then the above photo should look very pleasing from a color perspective with warm (but not red or pale) skin tones and nice vibrant blue water (but not way over saturated). 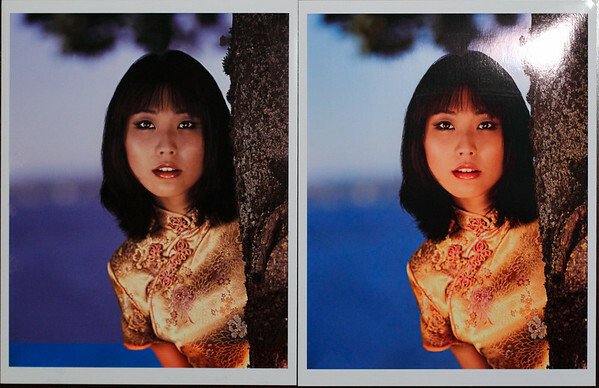 This photo of the two prints don’t really do it justice as the before on the left looks worse than you see here and the after one on the right looks significantly better than what is shown. However, I think you can see the most important point – the before is horrific and the after closely represents what is shown on the screen (in fact, in real life it was identical on my machine). WOW, what a difference this made on a printer that cost less than $100!!!! 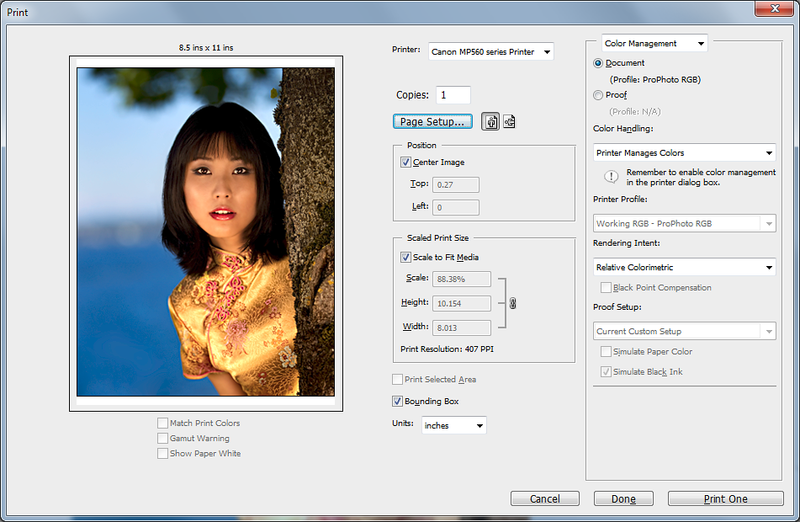 Who says color management is only for expensive pro printers, right? Those paying careful attention will notice that this version lets Photoshop manage the colors and I use the printer profile I created with my ColorMunki, which is why the results are so much better. 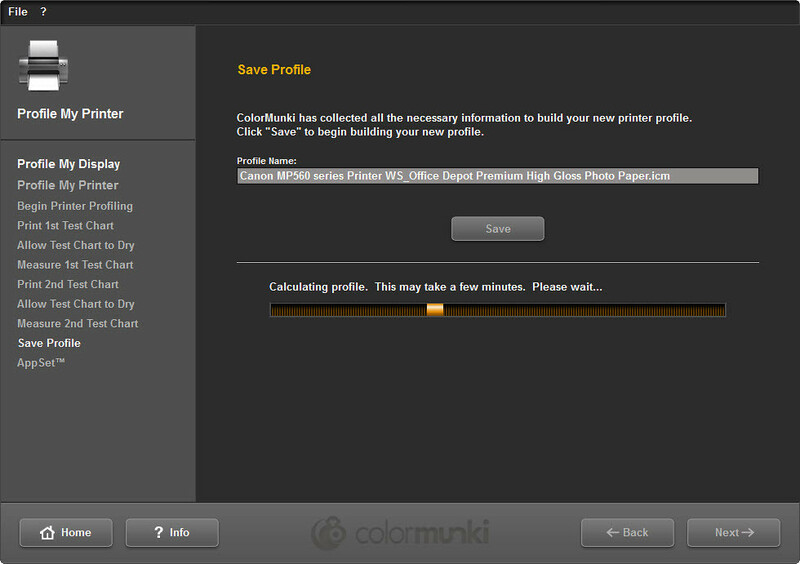 Now, let’s show you how easy it is to use the ColorMunki Photo to calibrate my display and generate a paper profile. 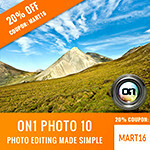 Buy a ColorMunki Photo Color Management Solution now on Adorama and B&H. I’ll skip some steps here, but screen shots of nearly the entire process can be found here for those who are interested. You’ll also notice here that I chose the Advanced feature so I could have my display adjust based on ambient light conditions which is important as your results will vary based on the light in the room near your display. and this data is collected and matched against the values they should be to create a difference that is used in your profile to begin displaying everything on your monitor the way it should be displayed without any modifications. 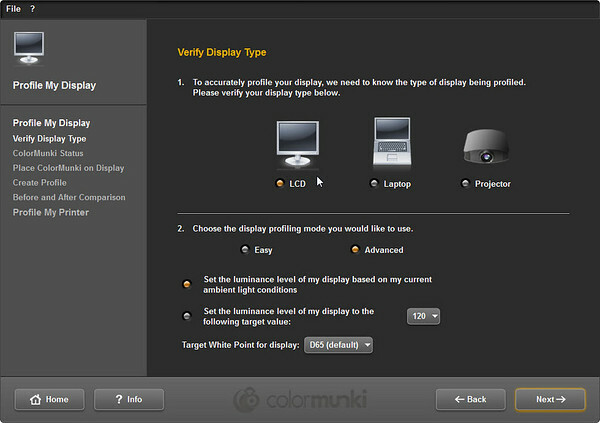 After this process is complete a profile is generated and stored in the appropriate location on your computer so that your display will be immediately updated to show accurate color. if your only output target is the display, then you could stop here (and could probably get away with just a Pantone Huey as your only solution). 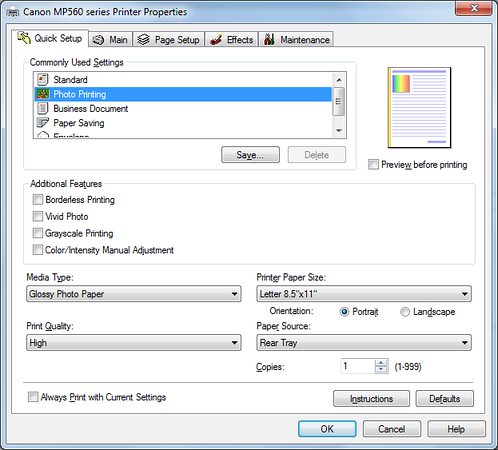 However, if your target is print, it’s now time to get your display and printer in sync with each other by creating a printer profile. 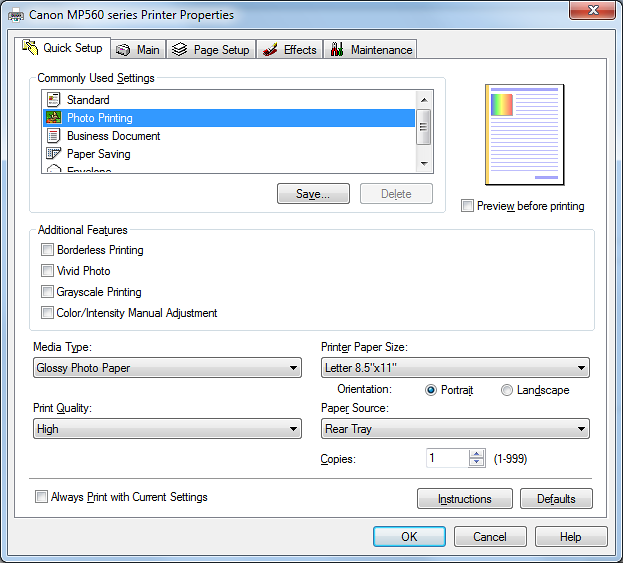 It should be noted that printer profiles are only good for one type of paper and that 8x10 or larger paper is required (I use letter size), so I recommend you do this every time you change to a new paper (unless you have generated or acquired an accurate printer profile already). Be sure to select the correct printer and give the profile a name you’ll remember (printer name not required as it will be pre-pended to the paper name string). After clicking Next, you will now be prompted to print a test chart. This process is critical to your success so pay close attention the instructions on the screen, in the help file and the related videos included on your setup discs. ColorMunki knows what these colors should look like when you scan them later on your paper, but the wizard displays them as they should appear. It’s common to have entirely different results on paper from the print, which is why profiling is so important. 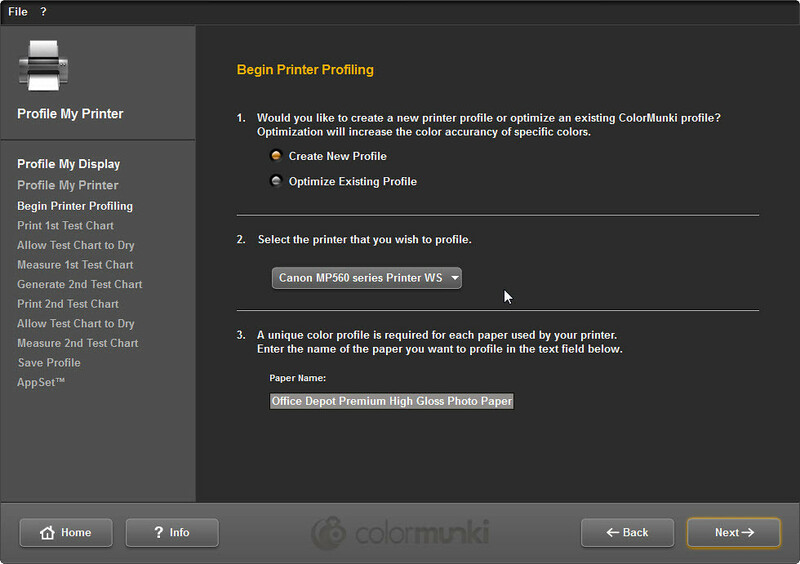 I now know that every time I print from ColorMunki when profiling or when I am using my custom profile that we will create here. For this example I chose the paper name, but if the values aren’t going to change whenever you are using the ColorMunki or its generated profiles you could just call it something like “ColorMunki Settings”. These are the printer driver settings required to get accurate results. 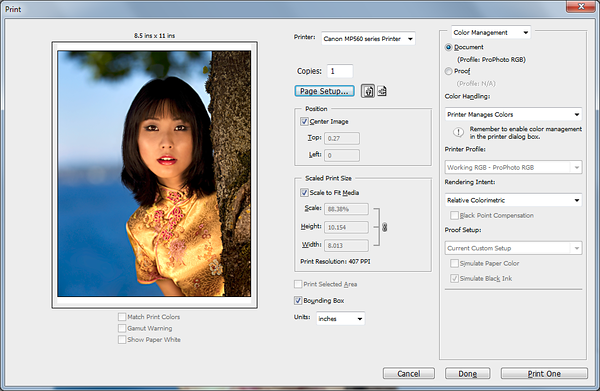 Other applications such as Aperture, Acrobat, and more will all use these color profiles as well. Fortunately many paper and printer manufactures provide profiles for download on their web site so that you don’t have to do this, but many argue that for the best results it’s always a good idea to generate your own. The validity of that statement is a bit skewed though as generally profiles that are provided by manufactures are done using more expensive spectrophotometers, but ColorMunki does allow for an iterative process where you can get more test patterns using some of your photos as inputs to create highly tuned paper profiles for your workflow. One of my favorite Fashion Photographers and printing mentors, Douglas Dubler, highly recommends this process for generating the best possible print results. 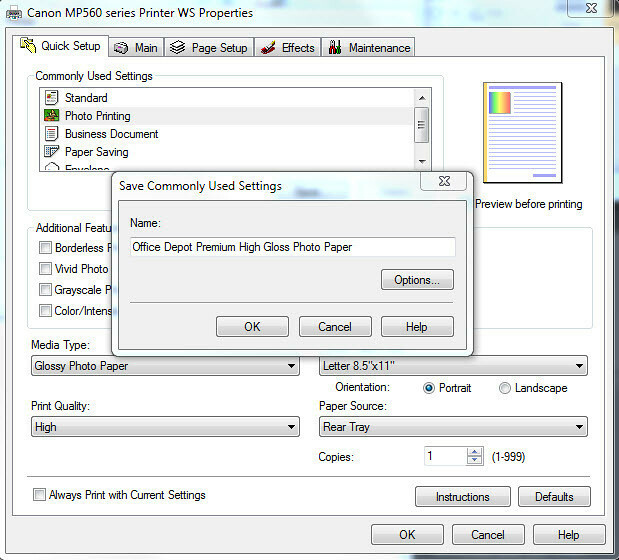 It is important to note that paper profiles must be generated for the exact paper AND printer you are using, so if either of those variables change a new paper profile must be created. It is therefore sometimes easier and faster to just generate your own profile than it is to hunt down the profile for your exact printer and the paper you are using (especially if you have an older, inexpensive and/or unpopular printer). While you may use a little ink and paper to do the profiling, you’ll waste far less than if you get horrible results as i did in my before photo (and many other prints using that printer). This headache of printing is why I had frequently in the past advised people not to do their own printing, but rather leaving it in the hands of third parties who specialize in the process as the cost-effectiveness of doing so made a lot of sense to me. My position on that has changed a bit as I am doing this series, but if you aren’t willing to invest in a product like ColorMunki to calibrate your display and profile your printer, then I still stick to my advice of using third party services for all your printing needs. Click here to see my friend and Canon Explorer of Light Rick Sammon discuss HDR and color calibration. 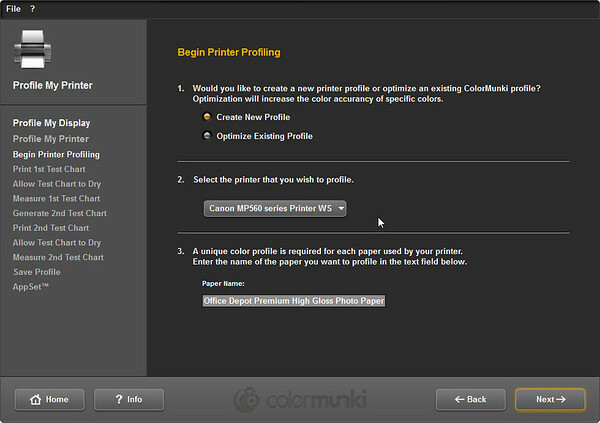 Skip to 7:00 if you want to get to the color display and printer calibration part using the ColorMunki Photo. NEW: There’s a great resource on the ColorMunki including videos located here. 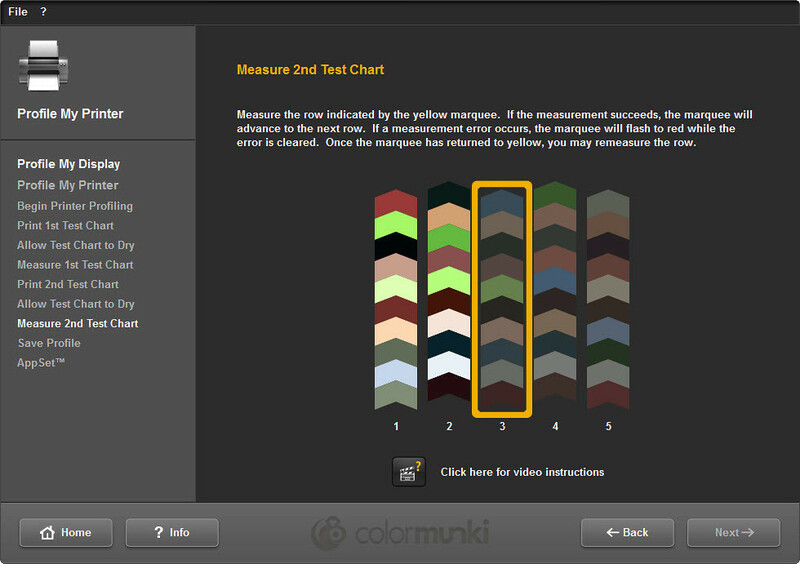 On December 15th, I gave a presentation to the Seattle chapter of the Pacific Northwest Color Management Users Group (SCMUG) where I demonstrated the ColorMunki Photo as discussed in this article. For those that attended that session, you may find the PowerPoint slide deck here (directly links prohibited – all links should point to this article). My review of Chromix ColorThink Pro is also available on this site, and my review of the NEC PA Series displays will be coming soon. You may also enjoy my printing series and discount coupon code page as well as the Read This First topic for a wealth of information on this web site. Thanks for attending and welcome to RonMartBlog.com! If you are a photographer, after you purchase your camera and lens your next purchase should always be a display calibration device. A huey is sufficient if you are a beginner doing printing via third parties, but as soon as you switch to doing your own printing (regardless of the cost of the printer) then you really need a device like a ColorMunki Photo to get the best possible results. The other ColorMunki devices mentioned on X-Rite’s web site are not for photographers, so stick with the Photo version. There’s also more expensive i1 based solutions for those who will make a living from their prints, but for most of us the ColorMunki is going to meet our basic needs for accurate printer and display profiling. While I purchased my own Pantone Huey, X-Rite did provide me with a ColorMunki for use in this article and in my printing series. 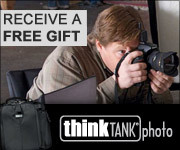 I will get a commission if you purchase from the links for Amazon, Adorama, and B&H shown in this article, so show your appreciation of this article by using these links! Nice article, Ron. One additional comment regarding the Pantone Huey vs. other devices. The Huey software doesn't have a way for you to see how bright your display is. 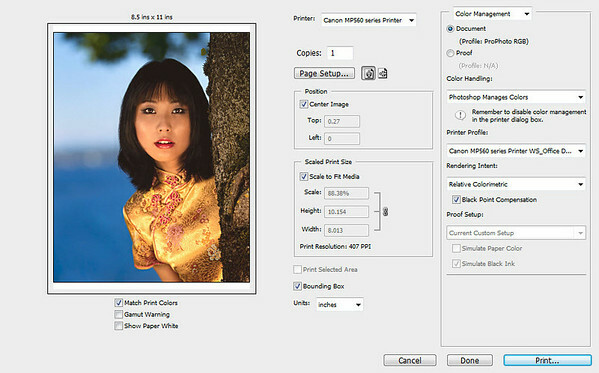 For accurate printing you really need both a calibrated display and a properly lit display. 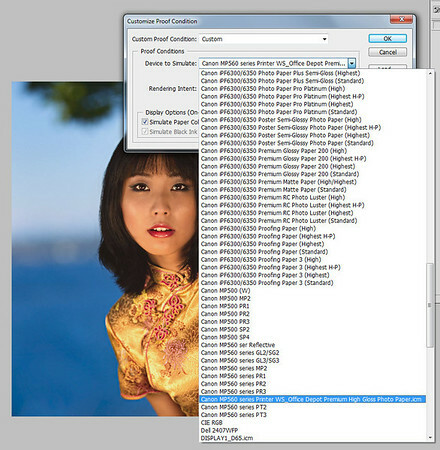 I've written in more detail about this at http://danecreekfolios.squarespace.com/blog/2010/2/17/monitor-brightness-and-dark-prints.html. Thanks for the kind words about my book, Color Confidence. And more importantly, thanks for helping shed some light on a subject so many photographers struggle with. Nice article, but for me it sidesteps the major issue. 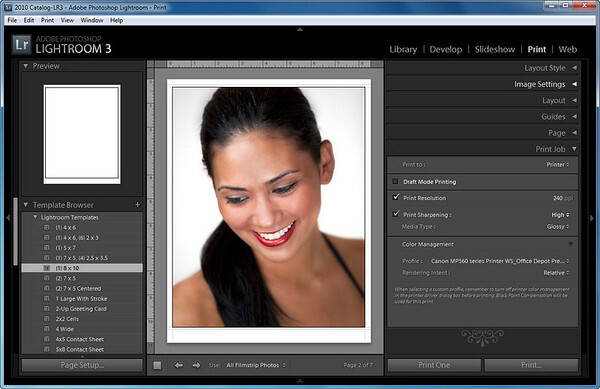 You compare pictures before and after using Colormunki on a paper that has no supplied profile. Perhaps a comparison between pictures taken with, for example, the profile for Ultra Premium Luster on a R1900 printer provided by Epson versus the profile generated by Colormunki would be more appropriate. The results would go a long way in helping the consumer decide if the $499 investment is worth it. rhb - Talk to anyone who understands color management and paper profiles and they will tell you that the example here is a good one, but a more extreme case. The reason why is that there are few really bad paper profiles for better printers but there is also a big difference between a good paper profile and a great paper profile. I can't test on every printer out there, so while it might be more useful for you that I do this test with a R1900 - the next person would say printer X would have been better. What I can tell you is that with my 3880 - which is a pro caliber Epson printer that the Ultra Luster profile that came with it was good. The one I generated with the Color Munki is very good, yet it takes something more advanced like an i1XTreme or i1iSis and a large number of color patches to get the best possible profile. If you read the words of the interviews I did with the Epson print masters you will notice a common theme - it's all about the paper profiles. Best results require a great paper profile, so if you don't have that then you'll have a hard time getting great results. It's possible, but you'll have to have inaccurate color on your screen to compensate for the problems with your paper profile to get great results, and that's tricky too. If you are in the NW then come to the SCMUG talk this week to see some more real world examples. If you are unhappy with the results you are getting out of your printer, and you aren't able to get better paper profiles then it is probably worth it. If you think you have a great paper profile and you are unhappy then it's going to be either the printer or the paper that is the issue. Odds are it's the profile. Wow, it sounds like something really wonky is going on so I can understand your frustration. While what you are seeing certainly isn't the typical experience, let's make sure we get you to the right people so you can get this mess cleared up. Have you already contacted X-Rite support? If you have and they haven't been of any use, then please forward me your emails with them so I can try to escalate the issue on my end. 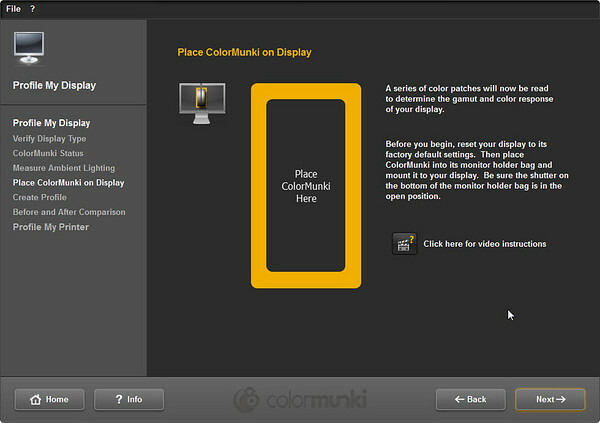 If you haven't, then I'd urge you to do that as you shouldn't have any trouble getting the ColorMunki installed. A phone call to X-Rite is going to be your best bet to get started. I'm also perplexed as to why you'd have any performance problems with CaptureNX2. 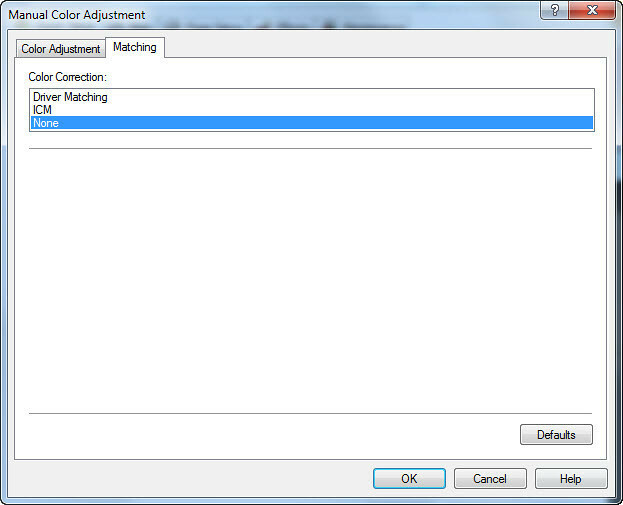 When you apply a color profile to your image, it gets re-rendered based on the the profile you've applied. If by chance you've got a bad profile then things can look really bad. Now if you generate a profile for a matte paper then it may look a little muddy on screen as matte papers will do that when printed and the screens have a hard time expressing "flat" so it translates more to muddy. If you were using Photoshop I could give you help, but I'd have to go back and re-install Capture NX to see what you might be seeing. Send me an email (see the link at the top right of the blog) with your paper profile that you've generated and a lot more details (paper you are profiling for example). Applying a color profile or installing a ColorMunki shouldn't have any impact on the performance of CaptureNX2. That is something unrelated as the liklihood of a color profile causing performance issues there is as likely as your computer only working when you aren't drinking coffee - it just doesn't add up. I'm sorry to hear about your issues so contact me so we can see if we can get you fixed up. Since Image Print presumably uses top-flight equipment in making paper profiles but it still is making a "canned" profile (given that it's not specific to my particular printer), is a profile that I make using Color Munki as good as the IP profile? I understand that my question can't be answered exactly, I suppose, but there isn't a super huge price difference between Munki and Image Print (well, I don't consider 300-400 dollars a huge difference given the price of an i1Photo device). thans for the info you give with your articles. i'm interested in buying a new colorimeter and i am bit undecided. my chichi are the write idisplay pro , the old idisplay for the lower price, and i have found a used i1 at 250 euro only but no software . my monitor is actually a 1mac 21,5 a mbook pro and un upcoming new nec pa241 with spectra view 2, in addition will add a new epson pro printer. what do you think will be my best choiche? do you think the old spectra or colorimeter will be god for the wide gamut video? Hi Ron. I would rather use a third party printer. My problem is getting THEIR printer to make prints which match my monitor. They offer a calibration print to use as an example for setting up your monitor, but what hardware/software would you recommend to help with this kind of calibration? To do that you need to have your display calibrated and then get the ICC profiles from your printer. You can use the ICC Profiles in Lightroom 4 or Photoshop to do soft proofing to get an idea of what the print might look like. Others make theirs available upon request. 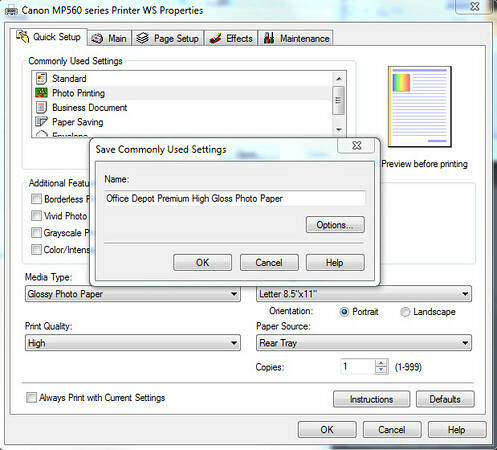 You also have to tell them to print using your settings and not add any color correction. 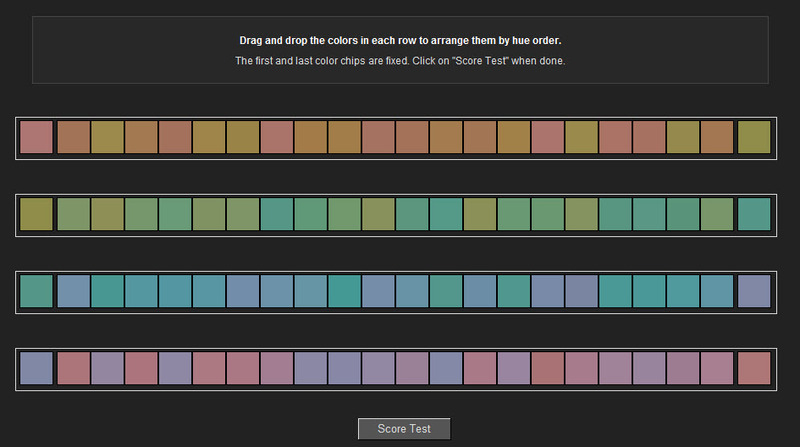 With that said, I've rarely seen a great result doing this as there's so many variables. It's also hard to do unless you are a master printer yourself because you don't really know how to interpret the results from the soft proofing. Good article but it seems to miss one of the biggest problems with displaying images on a monitor. 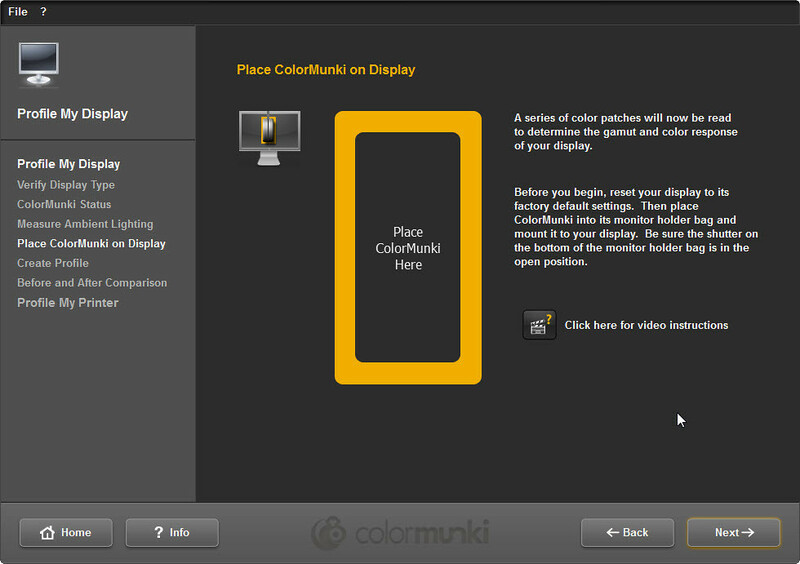 Having used a ColorMunki to calibrate my monitor, I get different colors displayed depending which program is used to view the image and which color space/profile the program uses, i.e. 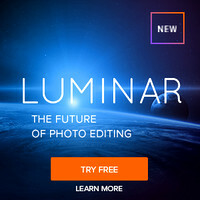 Photoshop uses the embedded sRGB color space and the images look great, but other programs use the profile created by ColorMunki which makes the images look washed out as if they are being displayed in Adobe RGB. With the default color space being sRGB, I would have expected an image being displayed using the monitor profile to be the same as Photoshop displaying the image in sRGB.